This is a Dragon German Sd. Kfz. 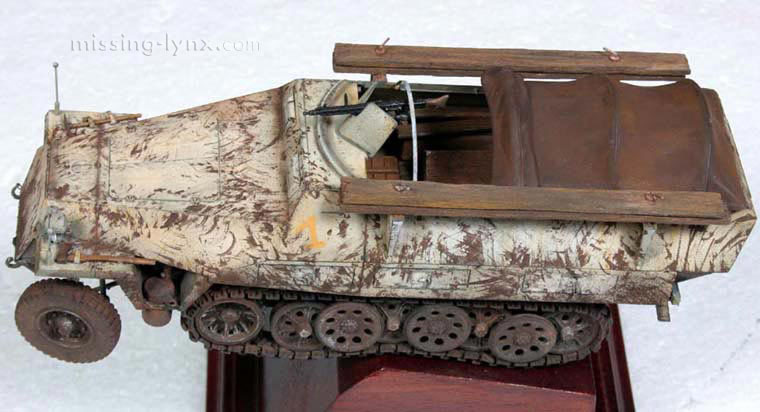 251/7 Ausf. 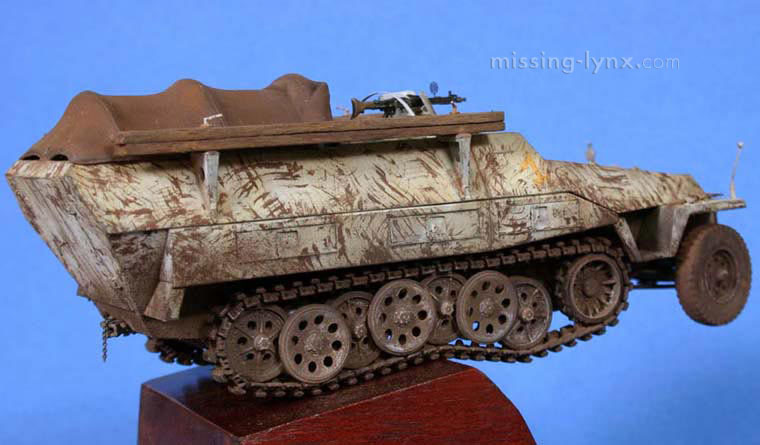 D Pionierpanzerwagen with some minor scratchbuilt details. 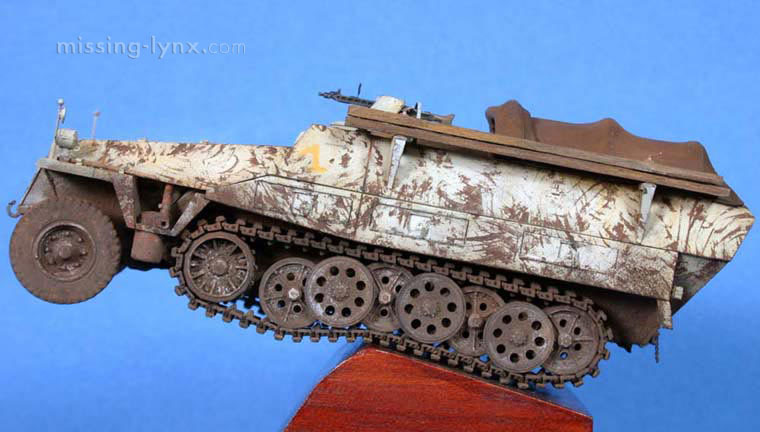 The model was airbrushed painted with Tamiya acrylics. 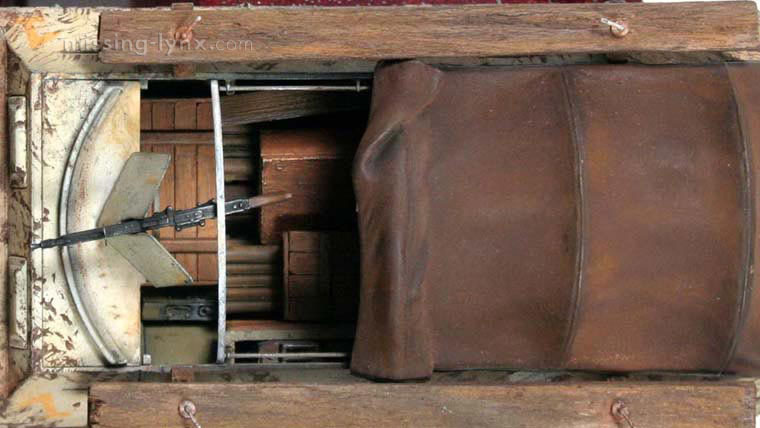 Weathering was done using enamels, oils and pigment powders. 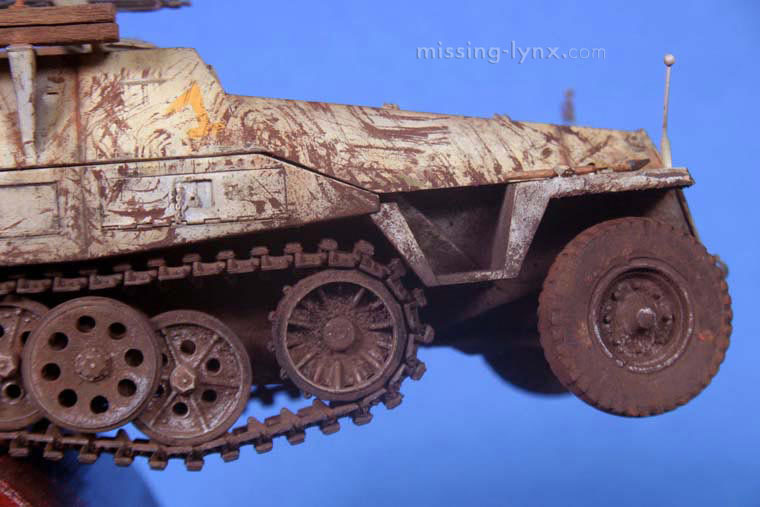 The camouflage, mud smeared over whitewash, was made using pigment powders with acrylic resin.